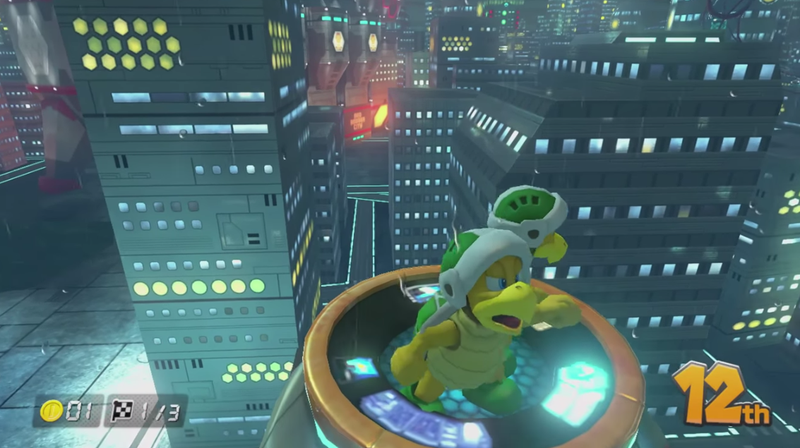 If you’ve played Mario Kart 8 you were probably so focused on trying to finish in the top four that you never had time to look around and take in the view. Fortunately, the latest Boundary Break video will give you a chance to do just that. YouTuber Shesez has an ongoing series where he finagles his way into the cameras for different games and takes them off the beaten path, providing players a unique vantage point for looking at familiar games. Previously, he took us behind the scenes of old Mario Kart tracks, but this latest episode takes on the newest game in the series and shows just how thorough Nintendo was in putting together some of the game’s levels. On the Mute City course from F-Zero for instance, the sprawling geography surrounding the futuristic metropolis is rendered in addition to the track itself, which takes up very little space and focus by comparison once the camera is zoomed all the way out. Nintendo even went to the trouble of adding a nearby mountain range that’s barely even visible while racing on the ground. Then there’s the Ribbon Road, another DLC track borrowed from series’ GBA entry, Mario Kart: Super Circuit. 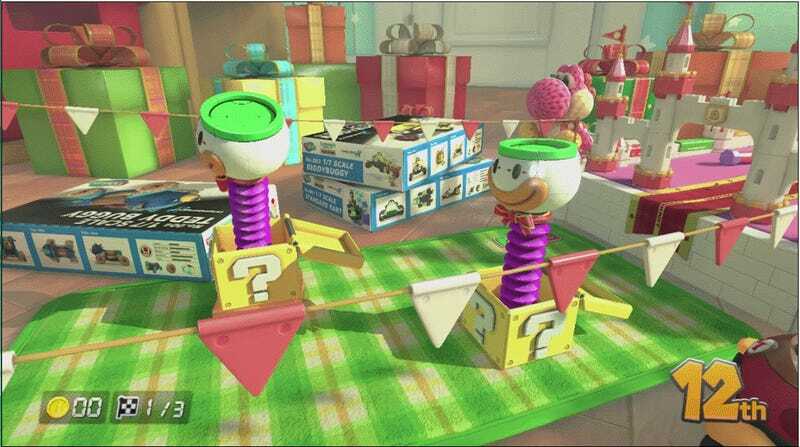 The Koopa Clown jack-in-the-boxes not only sway back and forth with detailed reflections, they also have imprints on top of them of the Super Bell from Super Mario 3D World, despite the fact that no player should ever be in a position to see it. In effect, they hacked their character (hence why Shesez remains in 12th place the entire time) and used it to explore the space just like you might in any other game.